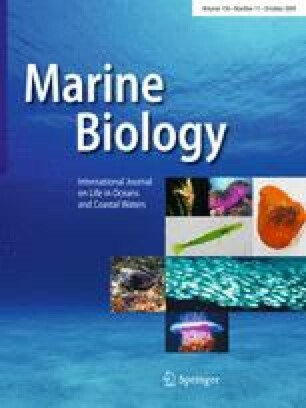 One of the major consequences of global warming is a rise in sea surface temperature which may affect the survival of marine organisms including phytoplankton. Here, we provide experimental evidence for heat-induced cell death in a symbiotic microalga. Shifting Symbiodinium microadriaticum from 27 to 32°C resulted in an increase in mortality, an increase in caspase 3-like activity, and an increase in nitric oxide (NO) production. The caspase-like activity was strongly correlated with the production of NO in thermally challenged microalgae. For this experiment, the application of Ac-DEVD-CHO, a mammalian caspase 3-specific inhibitor, partly prevented (by 65%) the increase in caspase-like activity. To verify the relationship between NO and the caspase-like activity, S. microadriaticum were subsequently incubated with 1.0 mM of the following chemical NO donors: sodium nitroprusside (SNP), S-nitrosoglutathione (GSNO), S-nitroso-N-acetylpenicillamine (SNAP) and 3,3bis(Aminoethyl)-1-hydroxy-2-oxo-1-triazene (NOC-18). The supplementation of both SNP and NOC-18 caused a significant increase in caspase-like activity compared to the control treatment. Pre-treatment of the microalgae with the inhibitor Ac-DEVD-CHO before the supplementation of the different NO donors completely prevented the increase in caspase-like activity. These results suggest that NO could play a role in the induction of cell death in heat-stressed S. microadriaticum by mediating an increase in caspase-like activity. This work was made possible by a JSPS postdoctoral fellowship granted to J.N.B and by a Grant-in-Aid for Scientific Research (B) from the Ministry of Education, Science, Sports and Culture, Japan to H.Y.